This post is sponsored by Princess Cruises. All opinions and text are 100% my own. The pie that peanut butter fans will go crazy for. Graham cracker crust, peanut butter filling, and freshly whipped cream. 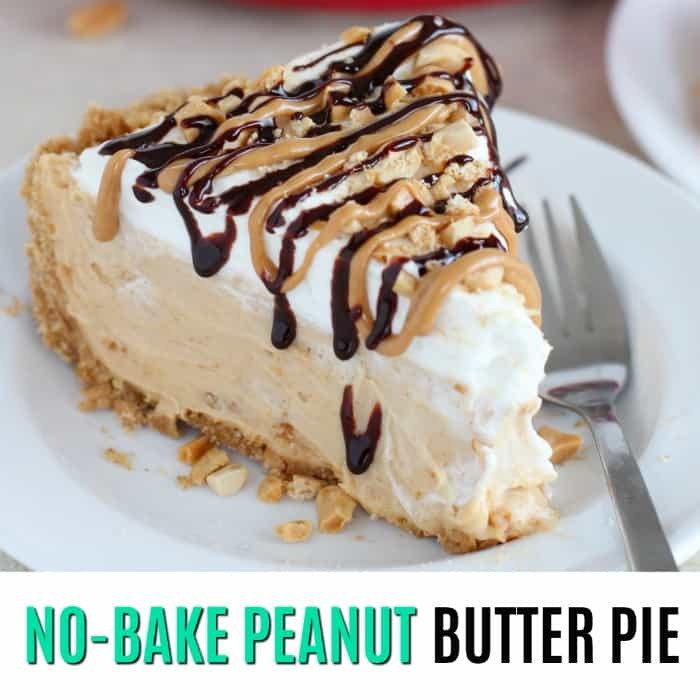 You won’t be able to stop eating this decadent and delicious No-Bake Peanut Butter Pie! This recipe is at the top of my favorite pies list right alongside my best Pumpkin Pie Recipe and this crowd-pleasing Banana Cream Pie. It’s the perfect trifecta of easy pie recipes for any home cook. A classic pie, a no-bake pie, and a seasonal pie. 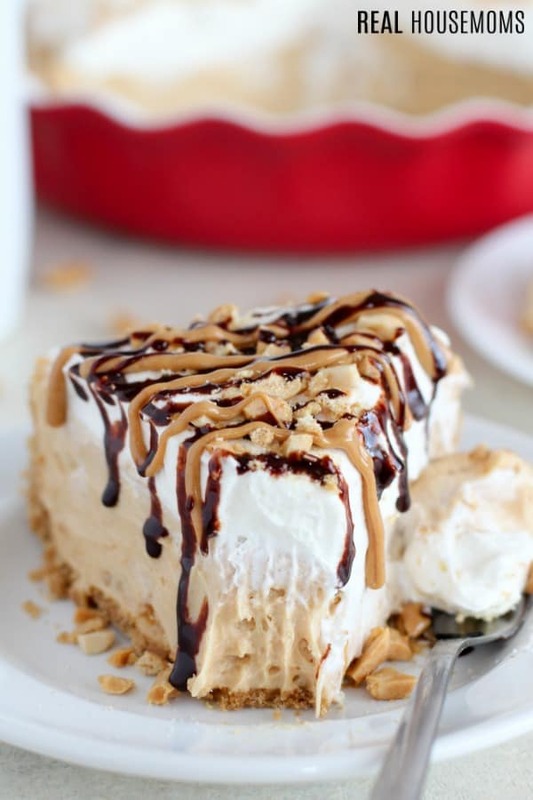 Since it’s summer I’m all about the oven required peanut butter pie. You should probably run to the grocery store right this very second. 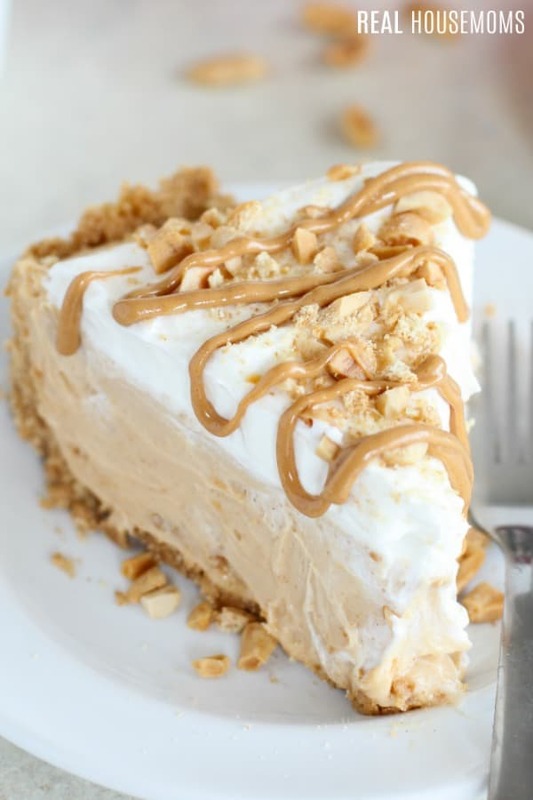 Once you see this Peanut Butter Pie there is no chance that you will able to concentrate on anything other than making and eating this beauty as soon as possible. It is no secret that my family loves (and I mean LOVES) peanut butter desserts. Peanut Butter Brownies and Peanut Butter Cup Cupcakes are two of our all-time faves. Every summer I make my husband a peanut butter birthday dessert, every winter I make myself a peanut butter birthday dessert, and every week in between I’m dreaming up a reason why I should be making something sweet and peanut buttery. My chocolate and peanut butter dessert obsession spiked this pay May on our Alaska Princess Cruises trip! 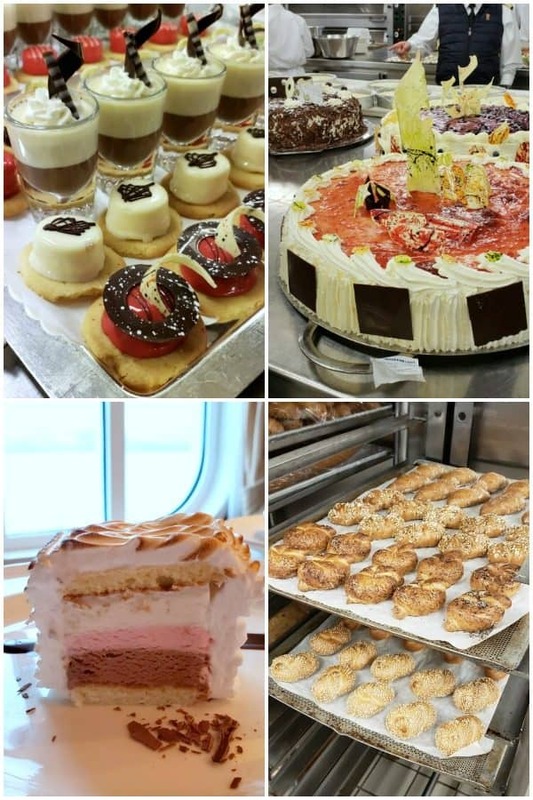 We were able to tour the kitchens and see the food prep going on, learn what it takes to feed a ship full of people and marvel at the creativity. Every meal is really like going to a high-end restaurant and the kitchen’s presentation game is on point! There were a myriad of amazing desserts from Baked Alaska and pastries to cakes and the most amazing chocolate peanut butter mousse cups. And those mini mousse cups are this inspiration for today’s recipe. While I love individual desserts, most of the time I’m cooking for the whole family and a full-sized, shareable treat is in order. But you could absolutely layer crumble up the crust, peanut butter mousse filling, whipped cream, and chocolate in smaller dessert cups too. My husband and I have been talking about the cruise with our kids and family and they all want to come along next time! 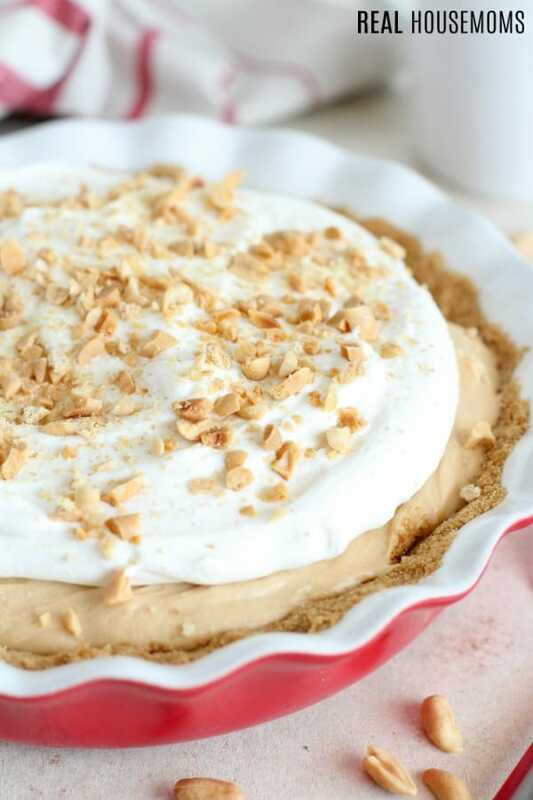 This No-Bake Peanut Butter Pie is perfect for anyone who loves peanut butter. My family devoured this pie in record time, and I am eagerly waiting for my next chance to make it. Who’s coming over? I’m happy to share… I’ll start whipping it up right away. 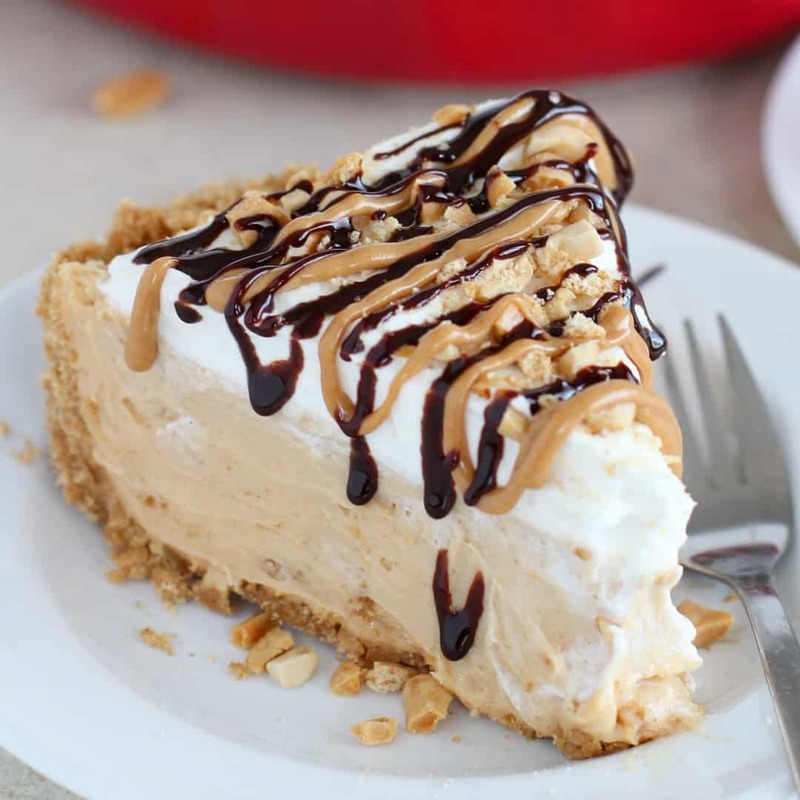 Let’s talk about what is going on in this Peanut Butter Pie. Graham Cracker Crust: Graham cracker crumbs, sugar, melted butter, and a pinch of salt make up this sweet cookie crust. You have two options here: you can tightly pack the crust into your pie plate and refrigerate it, or you can bake it for a little bit (see more on this below). Peanut Butter Filling: Peanut butter, cream cheese, powdered sugar and whipped cream make this filling smooth, sweet and luxurious. Bonus: You don’t bake it, and it comes together in minutes. Whipped cream: We top our peanut butter filling with a generous mound of fluffy freshly whipped cream. Garnishes: Here’s where you get to have fun with this recipe. You can garnish this pie with whatever sounds good to you. Here are some suggestions: salted peanuts, peanut butter cups, peanut butter chips, chocolate curls, graham cracker crumbs, melted peanut butter, fudge sauce. Add one, some, or all. No Bake: I consider this a no-bake recipe because the whole thing can be prepared without baking. That being said, I do prefer baking the graham cracker crust for 8-10 minutes because the finished pie slices a little more neatly when the crust has been baked. Prefer not to turn on your oven? Simply chill the crust before filling or take an even easier route and use a store-bought graham cracker crust. I couldn’t call us friends if I didn’t leave you with this one special tip: You have to lick the beaters. We call this “quality control” around these parts. The baker (no-baker?) gets to sample every step of this recipe. Why you ask? Because it is too good not to. That creamy peanut butter filling is to die for. Also, I made sure to prepare enough filling that the pie won’t be lacking if you consume a few spoonfuls of filling and whipped cream during assembly. This girl has priorities, and dessert sampling is one of them. I hope your friends and family enjoy this pie as much as mine did. Want more no bake pies to satisfy your sweet tooth? Preheat oven to 325°F (see notes for no-bake option). Combine graham cracker crumbs, brown sugar and salt. Add melted butter and stir until well combined. Dump the crumbs into a 9 or 9 ½ inch pie plate. Firmly press the crumbs into the bottom and up the sides of the pie plate. Use the bottom of a glass or measuring cup to pack it in. Bake the crust for 8-10 minutes, until golden brown and fragrant. Cool to room temperature. Using a hand mixer, or stand mixer, whip the heavy cream, ⅔ cup powdered sugar and vanilla until stiff peaks form. Transfer bowl to the refrigerator. In a separate bowl, beat cream cheese, peanut butter and remaining ⅔ cup powdered sugar until smooth and combined. Add a little more than half (eyeball it) of the chilled whipped cream to the peanut butter mixture. Beat briefly, until just combined. Place the remaining whipped cream back in the fridge, as this will be for topping the pie. Pour the peanut butter mixture into the crust and smooth the top. Cover and refrigerate for at least 4 hours, until firm. To serve: Top the pie with the remaining whipped cream. Sprinkle with peanuts and graham cracker crumbs. Serve with hot fudge sauce and melted peanut butter, for drizzling. To make this pie no-bake, you can skip baking the crust. After pressing the crumbs into the pie plate, refrigerate the crust (without the filling) for at least 3 hours. You can also use a store-bought graham cracker crust, if preferred. Is that 2 1/4 cups of heavy whipping cream before whipoed or 2 1/4 cups after its whipped? Sounds delish , cant wait to make it. Is it ok to use cool whip instead of making homemade? 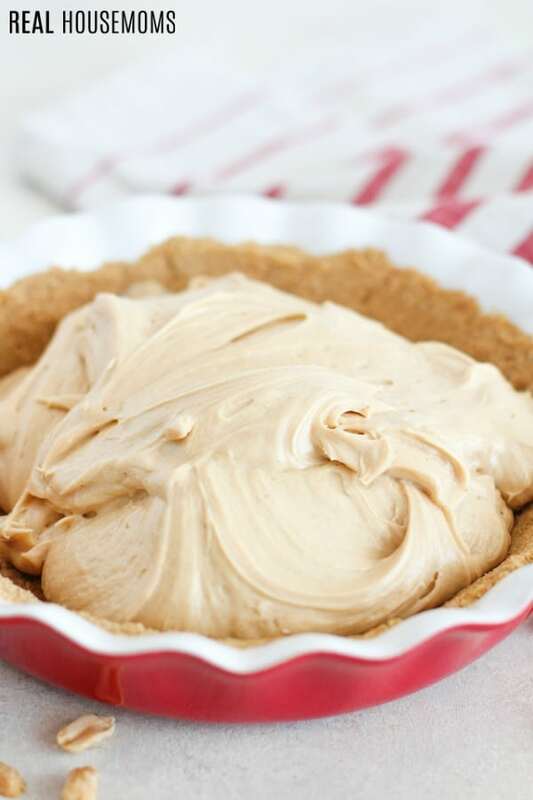 I’m considering making a peanut butter pie for this Thanksgiving and your recipe has really stood out to me. However, about the filling, is it really creamy? Or does it become thicker? Like cheesecake. It stays pretty light and fluffy. As long as you don’t over beat anything it stays creamier and fluffy. If you prefer it to go denser like a cheesecake then beat the whipped cream in passed just the mixed together stage. The whole 2 1/4 cups that it calls for. That’s funny! Thank you. Happy Thanksgiving. Hi! Planning on making this tonight, my family is SO excited! Just wanted to let you know that the hyperlink for the Rubber Spatula’s bring you to an iPhone charger on Amazon. Please don’t take this in any negative way, just wanted to you let you know. Thank you! I hope you all love it. I will be sure to get that link fixed!